Leadership training is one of the core activities of Empowered Voices. For communities to change and develop we need leaders that can take on responsibilities and be role models. The training is a motivational and inspirational learning experience for the participants. It is also in a way, a reward strategy for the leaders to focus more on personal and organization development through such learning exposure. This year’s retreat (November 8-9) attracted a total of 14 EV leaders. For the first time, these women leaders also allowed in 5 men who are serving on various committees and are instrumental in the day-to-day activities of EV. To focus on gender equity is very important in Empowered Voices' work and one way of doing that is through dialogue with the men and involving them in the organisation. Group photo at the NOGAMU visit. Visit to SIRACO irrigation systems where EV was introduces to water harvesting technologies and irrigation systems, agronomy, modern way of raising seedlings in seed trays, and greenhouse technology. The purpose was to expose EV leaders to appropriate technologies that can be used to address the current climate adversities and continue in profitable farming business. Visit to NOGAMU - the National Organic Movement of Uganda. Several of the EV members have started producing organic vegetables and NOGAMU encouraged them to strive towards a certification. 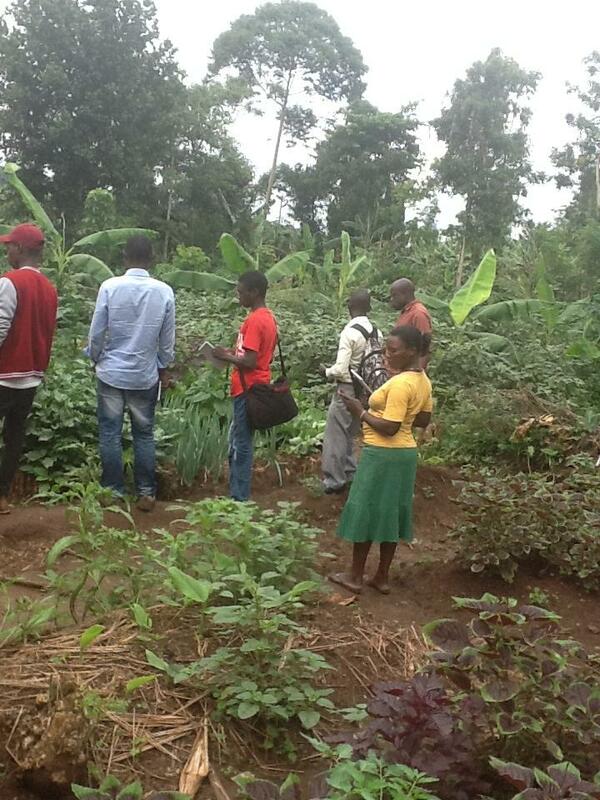 Tour of Kasenga Organic Farm. This is a family run business with various enterprises including crop and animals, which are all managed organically. The main aim of visiting this farm was to expose to EV members commercially viable organic production. Establish a group garden for EV to grow one high value crop for income to the group (e.g. cherry tomatoes). Acquire sewing machines and be trained in tailoring. Become true ambassadors for organic farming. Organize training in bee keeping. To many of the EV members, it was an eye-opener to so much that they didn’t know. The trip helped them believe that one can run profitable farming enterprises, demystifying the earlier conviction that organic can only be done for subsistence production not profitable commercial production. Because of Julie's skills and knowledge, her network and her enthusiasm for community work we are able to organize such trainings and we hope to make this an annual happening.